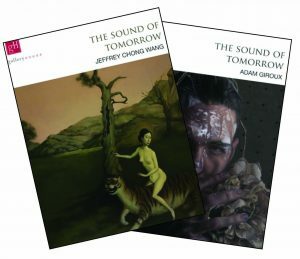 To coincide with the opening of our new show The Sound of Tomorrow we’ve released a two-sided companion catalogue. The 44 page book contains all the work by Jeffrey Chong Wang and Adam Giroux featured in the show plus information about the artists. 44 pages, full colour glossy paper, perfect bound. Order you copy today here! Gallery House specializes in broadening the audiences of our artists and we develop relationships with dealers around the world.